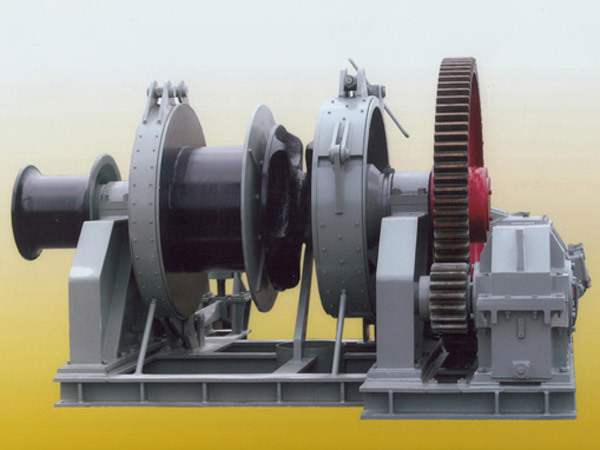 As one kind of marine deck equipment, marine anchor winch is the device placed on deck applied for anchoring operations when a ship arrives and needs to stop at a pier or port or set sail after the stop; it can be powered by electric motor, hydraulic pump system, diesel engine, or man power. Marine electric anchor winch takes up less space on deck and easy to operate, environment friendly, and hydraulic anchor winch has more stable power source, work reliable, easy to maintain and takes up more space on deck compared with the electric anchor windlass. Generally small tonnage boats adopt electric winches and large tonnage boats use hydraulic winches for anchorage. The two kinds of anchor winches can be equipped with single or double drums, called single drum anchor winch or double drum anchor winch. If a boat uses fiber rope or wire rope, the winch used on the boat can be called as marine anchor rope winch, and the rope drum needs to be driven by the power to wind or let out the rope to control the anchor’s going up or down, when the operator releases the rope, the boat anchor will go under the water for stopping the boat, and when the operator winds and store the rope around the drum, the anchor will go up and out of water to help the boat to set sail from a port or dock; if the boat adopts chain for anchoring, and the winch can be called as marine anchor chain winch, the chain wheel will be needed during anchoring operations, and one or two gypsy wheels are optional. The warping heads are also optional on one side or both sides of the drum, and the warping head is only used to wrap rope but not store it. 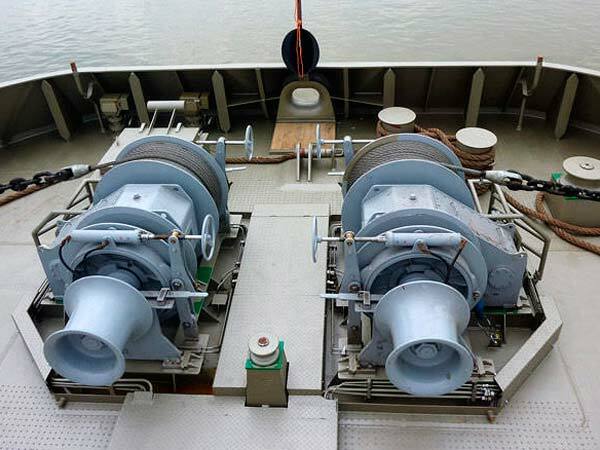 There are various marine anchor winches with different configurations to meet different needs, and it is important to select the right and suitable one for your boat or ship during the anchoring work. The size, application, rope or chain diameter, rope length and capacity of a boat are important factors affecting the choice of the anchor windlass for the boat. How to choose a perfect anchor winch for your boat? Just contact Ellsen company and you will get satisfactory answer. 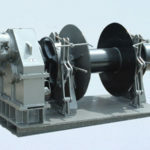 Ellsen is an experienced boat anchor winch supplier with a group of professional engineers and workers who have designed and manufactured many anchor windlasses for different clients all over the world. No matter what size is your boat, we will offer you the suitable winch for it. For details of our electric and hydraulic anchor winch for sale, just drop a note to us with any available contact on our marine winch website. Anchoring is so important for a boat that it’s necessary to choose the most suitable anchor winch for the boat. 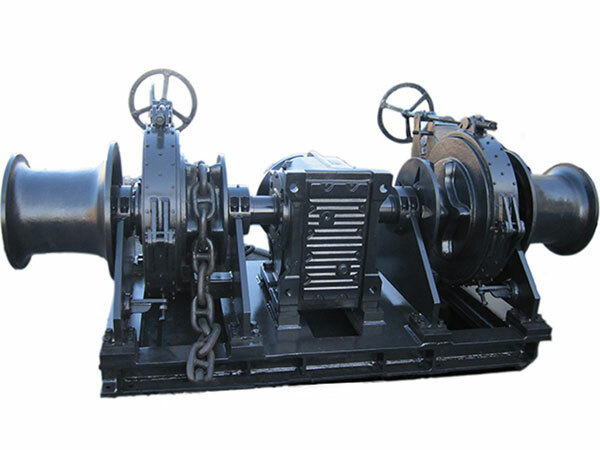 The offshore environment is changeable and difficult to predict, so the safe, reliable and high efficient work of the marine anchor winch for a boat matters a lot during harsh environment, and the winch should ensure the quick and safe anchoring when the boat needs it and keep the boat stopping at a safe position. Speaking of an anchor, it refers to a device normally made of metal, applied to connect a vessel or boat to the bed of a body of water in order to prevent the craft from drifting because of wind or current. There are different types of anchors to meet different needs, such as Hall anchor, Navy Stock-less anchor, Danforth anchor, Pool anchor, Spek anchor and high holding power anchor, and the suitable one should be selected to guarantee efficient, reliable and safe anchoring operations.